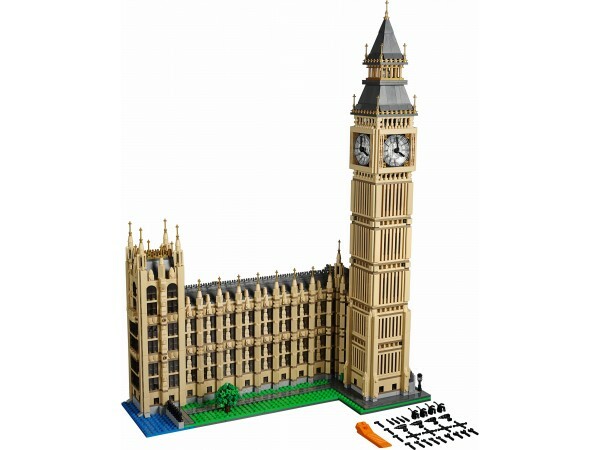 Recreate one of London’s best-known landmarks with the amazing LEGO Creator Expert Big Ben set. This highly-detailed model captures the grandeur of the 96-meter neo-gothic styled Elizabeth Tower with the adjoining east wing of the Palace of Westminster, and features a sculptural facade with windows, statues and shields, the iconic clock tower with its golden spires and intricate detailing, the Ayrton Light, and 4 beautifully crafted clock dials with movable hour and minute hands. Remove the top of the tower and you’ll find the Big Ben bell! A grass area, tree and sidewalk depicting the building’s location add the finishing touch to this magnificent model. Big Ben measures over 60cm high, 44cm wide and 20cm deep.